Crack is a cipher game. To win, swap numbers on a grid until they're all @home. 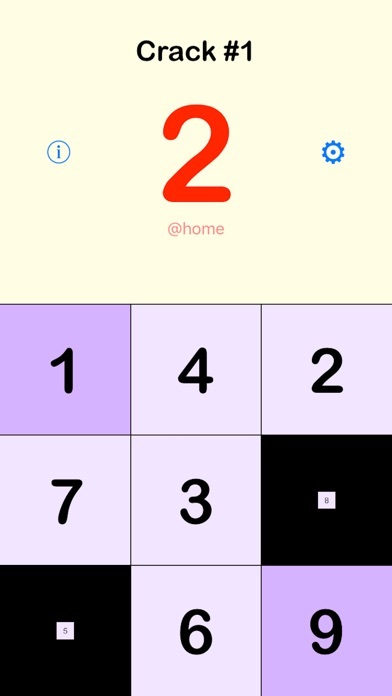 When you tap the grid, a secret key swaps 2 numbers. To gain control, you must decipher how they’re selected. With 3 grids, 3 special features, and 24 cipher keys, Crack offers 576 unique variations, from basic puzzles to highly sophisticated enigmas.